London, UK - 29 January 2014: artist Simon Fujiwara poses next to terracotta-dyed life sized plaster casts. 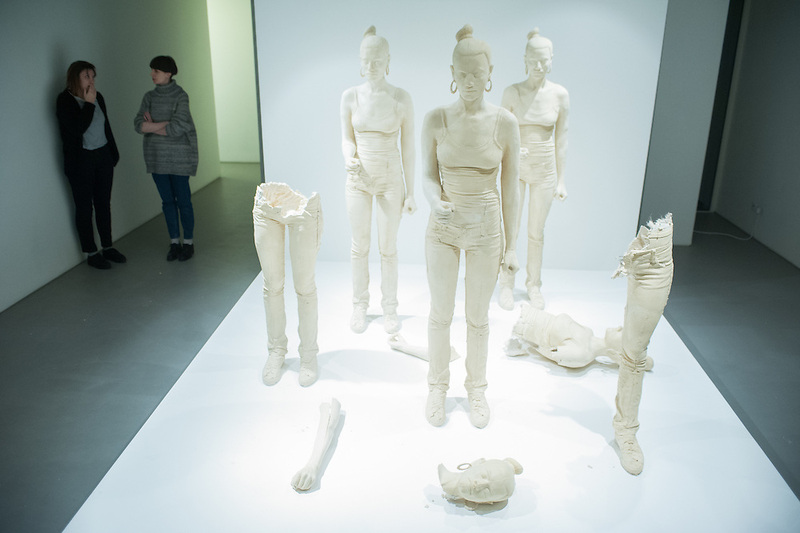 His work Rebekkah, comprising 100 terracotta-dyed life sized plaster casts of a 16-year-old girl who took part in the 2011 London riots, goes on display at the Contemporary Art Society until 29 March. art artist artistic britain british cas cast contemporary art contemporary art society display exhibition gallery japanese london london riots museum plaster rebekkah show simon fujiwara social change terracotta warriors uk reportage photo reportage photo reporter features reportage photography reportage photographer documentary photographer documentary photography editorial reportage photographs photographs image images picture pictures photo photos project photoproject photo project photograph photographs event photographer event photography events photographer events photography event photographer london events photographer london press photographer london press photography london press photographer news photographer fotografo a milano fotografo milano fotografo milano centro fotografo lombardia fotografo "milan photographer" "photographer in milan" "photographer in bergamo" "photographer milan" "photographer milano" "photographer in milano" "italian photographer" "photographer in italy" "photographer in lombardy" "fotografo a como" "fotografo a pavia" "fotografo a bergamo" "fotografo a trieste" "photographer trieste" "fotografo di milano" "fotografo a milano" "photojournalist in milan" "corporate photographer" "event photographer" "fotografo di eventi" "fotografo di eventi milano" "photographer in bergamo" "photographer in trieste" "event photographer milan" "milan photographer"